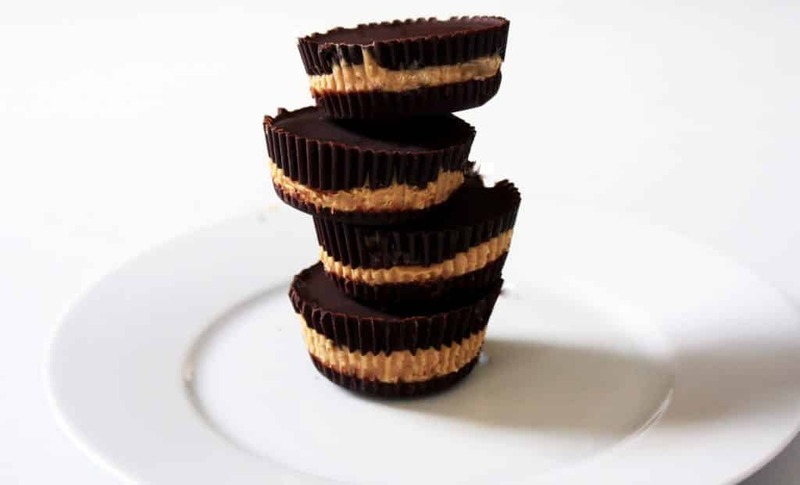 These Collagen Cashew Butter Cups are a delicious variation of traditional peanut butter cups! 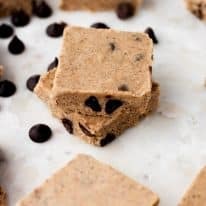 Chocolate + Nut Butter + Collagen = A Healthy Twist To Your Childhood Treat! As a kid, Reese’s Peanut Butter Cups were probably the greatest gift known to man. 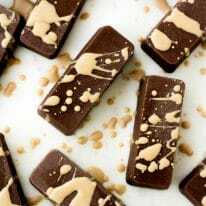 These candy bars are, unsurprisingly (and unfortunately), full of ingredients that our bodies don’t particularly thrive on. Of particular note, Reese’s Peanut Butter Cups contain TBHQ, a preservative claimed to “maintain freshness.” Apparently it’s FDA-approved…? Idk. 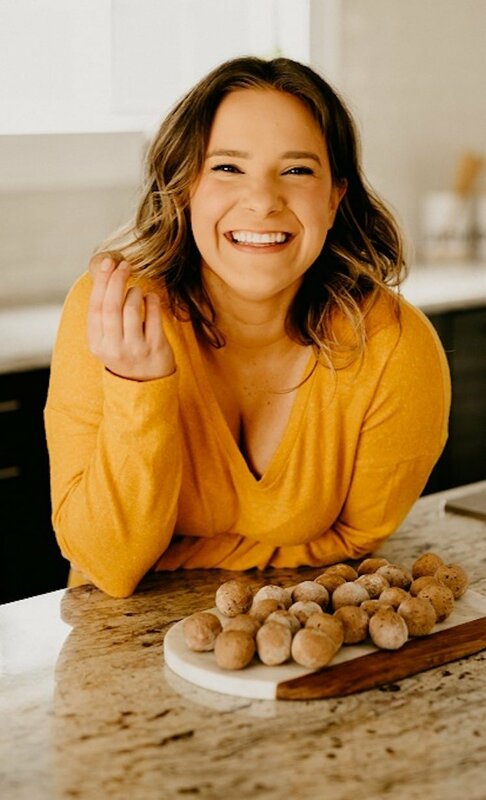 According to research conducted at Michigan State University, TBHQ causes our bodies’ T-cells to release a set of proteins that trigger serious immune and allergic reactions. Nope, not into that. So, there’s the weird ingredients in these Peanut Butter cups… AND the outrageous amount of sugar! 22 GRAMS of sugar per serving?! Really. That’s almost two full tablespoons of sugar. That’s definitely not a great addition to your diet if you want to live a healthier lifestyle! As always, I was determined to come up with a healthier alternative that included only real food ingredients without the weird chemical additives. and an ingredient that contains SO MANY health benefits, collagen. Why Collagen For Butter Cups? Supplementing your diet with collagen is incredibly beneficial. Collagen is what gives our skin elasticity. It helps maintain strong bones and joints to support our everyday movements. Our bodies already contain a large quantity of this protein. However, as we age, our collagen production begins to decline. Adding a tablespoon of this powder into your morning coffee or into a dessert like this one provides a tasteless, power-packed amount of protein into your diet. Additionally, collagen supplementation can improve your hair, skin, nails, teeth, joints, and, most importantly, your gut. Collagen supplementation can also assist with recovering from high-intensity exercise much quicker by restoring the protein content of the muscle. Collagen Cashew Butter Cups Time! 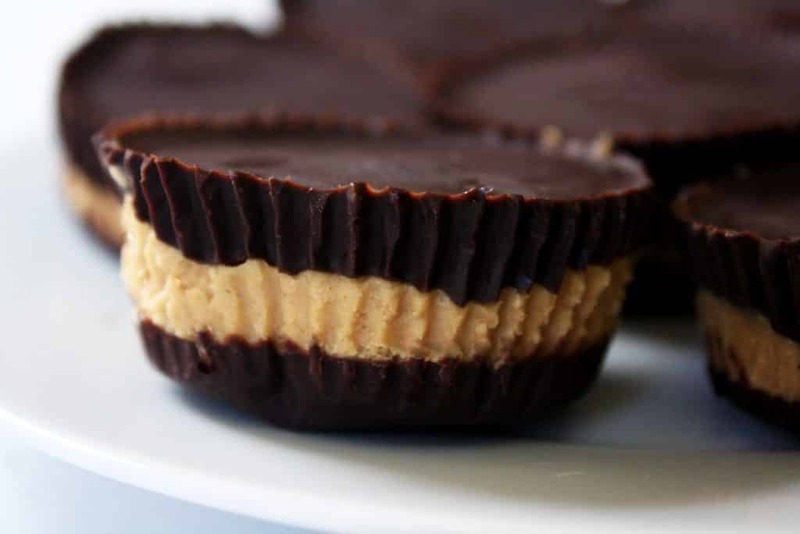 Follow the recipe below and behold these Collagen Cashew Butter Cups in all their chocolaty glory. 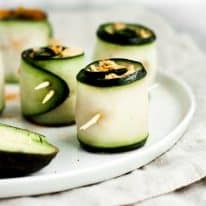 This recipe is to low-carb, keto, paleo, gluten-free, grain-free, dairy-free, and refined-sugar-free. 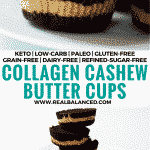 Collagen Cashew Butter Cups: keto, low-carb, paleo, gluten-free, grain-free, dairy-free, and refined-sugar-free! Line a muffin pan with paper or silicone muffin liners. In a medium glass bowl or double boiler, add cacao butter and coconut oil. In a small pan, add a small amount of water and bring to a boil. Once boiling, reduce heat to low. Place bowl with cacao butter and coconut oil over water (bowl should not be touching the water). Allow cacao butter and coconut oil to melt, which should take around 4 minutes. Remove bowl from heat, add cocoa, stevia, and vanilla, and whisk until well-combined. Using a spoon, carefully drizzle chocolate mixture into muffin liners until the bottom of the liner is just barely covered, less than 1 tbsp in each liner. Place muffin pan in freezer for 15 minutes to allow chocolate to harden. While chocolate is freezing, add cashew butter, stevia, collagen, and salt to a medium bowl. Using an electric mixer, mix until well-combined. Using your hands, form small balls of cashew butter mixture then press to form flat circles. Place the flat circles of cashew butter on top of hardened chocolate mixture and return to freezer for 10 minutes. Add remaining chocolate to muffin pans on top of cashew butter, about 3 tbsp in each liner. Return muffin pan to freezer for 20 minutes to allow chocolate to harden. Remove from freezer, remove liners, and enjoy! Store cups in airtight container in the refrigerator or freezer. Do you have the macro breakdown of these? Just updated the recipe to include the nutrition label! Thanks!